So if you’re not familiar with merino wool by now, you should be. It cools you off in the heat, and keeps you warm in the cold; it’s naturally anti-microbial, so it pretty much never smells; it absorbs moisture, trapping it within the fibers, leaving the surface feeling dry and comfy, so you can avoid that sticky next-to-skin feeling common with oversaturated cotton, or damp polyester; and if it’s made right, it’s super soft, and it can last quite a long time. Pretty much the only downside, aside from the cost, is that merino wool has a tendency to keep you warm, making it a better choice for moderate to cool weather than stifling heat. Plenty of people take them to the humidly sweltering tropics of Southeast Asia, but for some people, it’s simply too much. It needs to be super thin, or blended with something even lighter and cooler, for it to feel comfortable up at the really high temperatures, or during intense uphill climbs. It’s true that it’ll cool you down in the heat, but there’s a limit before it’ll max out and feel warm. Luckily, quite a few companies have been working on this problem, blending merino with polyester, Tencel, and other fabrics, to reduce the warming sensation merino creates for certain heat-sensitive people, while retaining the moisture management and odor resistance everyone loves so much. These often wick moisture and dry faster, and, as an added bonus, are usually cheaper, stronger, and less prone to shrinking if you throw them in a dryer. Since I’m one of those people that overheats literally every time the sun comes out, I’ve been on the lookout for these summer-weight merino blends for quite some time. And luckily for you (but not for me), we just went through multiple mini-heatwaves out here, during which I got to test out a few of these ultra-thin, ultra-breathable, super-fast-drying alternatives that promise a higher level of comfort when the temperature goes up. I picked up a few of these myself, while others were provided as test samples courtesy of the companies that make them (and I’ll mention which is which down below), and put them to the test. I rotated through them pretty much exclusively over the summer, taking them on walks, bike rides, social occasions, and everything else. I tried to wear each of them a few days in a row to see how far the odor resistance could go without a problem, air-dried them along with a 100% merino wool t-shirt of similar weight to see which one finished first, and ran them through the laundry to see how they held up. And after all that, I’m happy to say that all the good ones here were noticeably more comfortable during those oppressively hot days than pure merino, without running into the downsides you might expect from cheap polyester. Even better, they’re all quite different, making the distinctions between them rather significant, so it’s not going to be too hard to pick a favorite for each scenario, so let’s get started. …and by “stylish,” I mean, “absolutely no weird logos or other nonsense anywhere at all,” which tends to be my favorite design feature. It’s not like crazy seam layouts and other details can’t be fun, but it’s certainly nice to have some alternatives that look totally normal, and that’s what Outlier does every time. This t-shirt uses a blend of 50% merino and 50% polyester, the latter of which Outlier describes as “thermobuffering,” giving it some insulating properties of its own to match the merino. It’s thinner than their standard merino t-shirt, but the significant percentage of polyester keeps it durable, silky smooth, and quick-drying. This might be the best all-around choice of the options here, coming in at the midpoint of the drying time test, still looking great after a bunch of washes, and looking like an ordinary t-shirt, hiding the performance in the fabric itself. The only potential downside is that with so much polyester, it’s less odor resistant than pure merino, or blends with a higher percentage of it. I didn’t run into any problems with this, but this is likely to vary from one person to the next. Count on it handling a few days, rather than a week or two, before you might feel the need to wash it. Oh, and if you want an athletic fit, definitely go a size down. It’s more of a relaxed fit than you might expect from something that could be used as a base layer. Pick it up here. They’ve got v-necks and long-sleeved options, but are more likely to keep them in stock during the summer. Icebreaker’s summer-appropriate Cool-Lite fabric uses a blend of 52% merino, 35% Tencel, and 13% nylon, and comes in a whole range of products, from t-shirts to hoodies, for both men and women. Icebreaker claims the Tencel allows it to wick moisture and dry more quickly, and my experiences with Tencel have led me to the same conclusion. It’s essentially a type of rayon, like bamboo or modal, so it’s highly absorbent, wonderfully soft, and odor resistant; the only major difference is that Tencel dries faster than either of those. 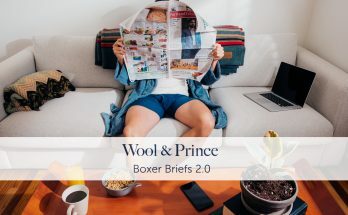 This high absorbency and quick drying time combine together to pull the moisture away from your body and through the fabric more quickly than pure merino could manage. If you drop a teaspoon of water onto pure merino, it’ll sit on the surface; if you drop a teaspoon of water onto something with Tencel, it’ll get sucked right in and spread out faster, which also helps it dry more quickly. The only downside is that Tencel can absorb a lot of moisture, so it’s best when combined with something less absorbent, like merino or polyester, which is the case here. If you get caught in a rainstorm, pure Tencel can soak up so much that even with its quicker drying time, it’ll still take quite a while to dry out completely. It also doesn’t insulate when wet, so if you’re hiking uphill in cold weather with a pack that doesn’t allow much ventilation, you’ll want to take breaks to release the moisture building up along your back. Still, the merino isn’t a huge percentage of the fabric content, so I didn’t find it too worrisome. It does, however, mean air-drying isn’t any faster than with pure merino; drying time of a fixed amount of moisture will be faster (like when you’re sweating X amount of moisture because of how hot it is), but since the Tencel soaks up so much moisture during a laundry cycle, it’s going to take a while to let it back out. It has a fuzzy texture, but it’s hidden quite nicely by the heathered colors, and they moved the logo of this version from the chest to the sleeve, which is infinitely better than before. The fit is quite slim, appropriate for use both as a fitted t-shirt, or a base layer. This is probably going to be the easiest option to find on sale, at places like Amazon. You’re also more likely to find a full range of options there, as the Cool-Lite range is stocked more fully during the summer months by Icebreaker itself. Occasionally I’ll visit their site and type “Tencel” into the search bar to see what they’ve got at any given time, then sort by gender to slim down the list. 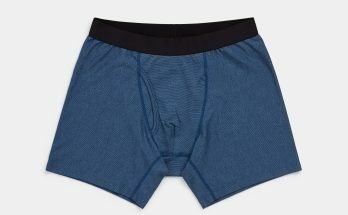 This is probably the most unique of the myriad options available to the merino obsessives out there, with a double-sided, open, almost meshy structure that puts the merino on the inside, and polyester on the outside. The merino provides the soft, dry, pleasant, comfy next-to-skin feeling we all know and love, while the polyester pulls the moisture to the surface of the fabric, where it can dry more easily. And it really dries quickly, in about half the time of pure merino, beating everything else on this list. If you’ve been looking for something that can offer the next-to-skin comfort, moisture management, odor resistance, and temperature-regulating properties of merino, but you really want to push it to the aerobic limits during a crazy uphill bike ride where you’re sweating ridiculously the whole damn time, this is definitely the one for you. It actually looks more like a rib knit on the outside than what you might expect from something described as “meshy,” thus keeping the appearance semi-casual, but you can sort of see how the inside is somewhat uneven, which reduces the surface area in contact with your skin, allowing for even greater airflow. If you hold it up to the light, you can actually see how the inside layer is just a hexagonal, honeycomb-like mesh, kind of like what you might see on backpack cushioning. It’s really an open structure, and every breeze that comes along just sweeps right through. This is the thinnest fabric on this list, and probably the thinnest knit fabric I’ve ever handled…but since it has the polyester on the outside, it’s shielding the more delicate merino interior from any harm. And since the merino is on the inside, it’s going to resist odor better than a blended fabric. The only “downside” is that because of the meshy structure, it’s actually bigger when packed than a similarly-sized t-shirt, despite being thinner and lighter. There’s also a somewhat greater chance of thorns causing a snag, so watch out for those. The fit is very slim, keeping in line with its athletic functionality. This is really a high-performance piece, and I expect it’ll be the favorite of anyone whose lifestyle looks like a perpetual Nike commercial. Pick it up here. That’ll take you to the t-shirt, but they’ve got long-sleeved options and tank tops, too. Unfortunately, I did run into some trouble with one of the t-shirts I was testing over the summer, which was the Ibex Essential. I like a lot of Ibex’s stuff, but something seemed to go wrong here, which was a little disappointing, because this is the one I was most excited about. It’s a blend of 80% merino and 20% silk, which sounded pretty great, given that it’s an all-natural alternative to polyester and nylon blends, and silk has some temperature-regulating properties of its own. Silk is also fantastically strong, so what I expected was a fabric that had nylon-grade reinforcement, but without the nylon…while also boasting a shimmering luster and a silky-smooth texture. Unfortunately, it was the only one featured here that ran into durability issues, even after just a couple months of casual use, developing the most significant pilling of anything on this page. You might have to zoom in, but all those little white flecks on the Ibex are pills. Part of the reason it’s so visible is because of the heathered fabric (that multi-colored variation of dark and light grey, mixed together), but even aside from that, you can see the Outlier isn’t running into this problem nearly as much. Even the Icebreaker, which also has a heathered appearance, doesn’t look like this. Given how the Ibex is also the most expensive, at $95 per t-shirt, I think the others make for better choices. I also ran into some breathability issues, as the others seemed to allow moisture to pass through the fabric noticeably faster, although I’m partially suspicious that a pore-clogging soap may have been to blame for that one, causing a stuffy, humid discomfort that I may have mistaken for the fabric itself. Drying time was pretty similar to pure merino, however, at about 8 hours, so I can’t really find a category in which it outperformed the others. I’m mostly just including it here to show what a not-so-durable fabric can look like after putting it to use, giving you an idea of how the other ones are holding up a lot better. Even Patagonia made a t-shirt that fell prey to this same problem, which is the one I used to demonstrate how to remove pilling from an old sweater. Ah well. Life goes on. 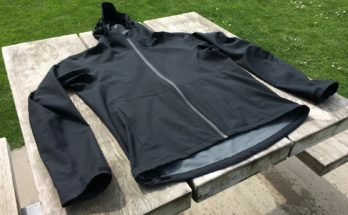 Rohan Merino Union 150: This is actually a top-notch fabric that belongs on the list with the other contenders, but it’s only seasonally available, so I didn’t run it through the same test as the others. It’s a blend of about 2/3 merino and 1/3 polyester (the exact numbers seem to vary occasionally), and it’s noticeably cooler and more durable than pure merino. They make short-sleeved and long-sleeved t-shirts, along with polos and other styles, either at 150 grams per square meter, or 200 (I would go with the 150, especially in the summer). The t-shirt version I tried has a tag logo that is removable, so that’s a plus, although the “banded” sleeves strike me as more aesthetically appropriate for a polo shirt, and they make it a bit trickier to slip into a sweater, but that was my only issue. It’s also a regular fit, rather than a slim fit, if that’s a concern. Rohan provided me with a couple test samples, and they held up as well as anything I’ve used. Just visit their site and type “merino union” into the search bar to see what they’ve got available at any given time. Well, that’s about it for now. I’ve been seeing a lot of companies blending merino with other fibers, either for durability, or hot-weather performance, and it’s quite a welcome alternative. I know of a few purists out there who only want 100% merino gear (check out this page to read more about it, and see some specific items), but they’re a little more delicate, and even their beloved cooling properties can only go so far…and although I’ve seen some other fabrics that perform especially well in hot weather (linen, for example), the combination of odor resistance, moisture management, temperature regulation, and other qualities mean that merino is likely to remain a top pick for all-around performance for anyone on the road for any significant length of time…and hot-weather blends like these are only going to expand that reputation even further. Very cool! Thanks for these solid, down to earth reviews. I just wish they weren’t so dang pricey…. It’s true, it’s a problem. The good news is that you only need three or four of them if you go on a trip, and at home you don’t really need them on moderate days when you’re not really sweating much, so you can save them for when you really need the performance, and you won’t have to replace them for quite a while. And with polyester or nylon added to the mix, they’ll last a long time. More options for women: REI just came out with a $50 52% merino/48% Tencel blend heather T-shirt in three colors, called the Co-op Taereen. It only has a tiny label tag on the side hem – nothing too noticeable. I wore one straight for 4 days and it went well. I’m very heat sensitive, so it was nice to have a cooler blend. I machine washed it once so far in a delicates bag, seems ok, but may eventually be prone to pills, time will tell. I’m pretty frustrated with the women’s merino tees. Many of them come in girly pastels like lilac, pink, and teal. Those colors show dirt. If you are an older women your choices are red, black, and grey. Many of these shirts have a crew neck, which is unflattering if you have a bust. Its as though the manufacturers decided that a women’s shirt is a downscaled version of a men’s shirt, but in pastels. They put no effort into developing a true women’s shirt. I’d prefer darker colors such as olive, navy, or chocolate, preferably with a slight scoop neck. My wallet stays closed until the manufacturers create a product I like. I’m not spending that much money for a “meh” item! I’m 46, size 16, 40D. I bought the Taereens in XL, they have a V-neck and a loose but (to me at least) not sloppy fit. I have the heather grey/charcoal (pirate black heather) and the heather burgundy (vin rouge). I’m only a couple miles from an REI, so I got to try them on in person and of course REI has a generous return policy. I must admit I like the heather version of fabrics partly to hide any dirt or (ahem) coffee/wine stains. Everyone’s mileage varies, but at half the price of many of the Icebreaker’s, etc., I find these to be a decent compromise. If you’re anywhere close to an REI, you could check them out. I agree though, that many items are either not sized for women or are only sized for size 0-8. I agree with you on colors — I like cadet blue, army green, dark maroon, dark greys — but I hate scoop necks. In general women’s clothes tend to be kinda weird on me, I’m on the tall side and I’m an hourglassish shape, and somewhat large busted. It seems to go one of two ways, they’re meant for someone with a ruler shape, or they fit in the bust but the hips are baggy. I also like to have pockets to put things in and like things to last. I’ve had t-shirts that lasted 10 years, if it’s in good shape I’ll still wear it. Often I wind up wearing men’s clothes, better colors, better quality, and deep pockets that actually hold things. I like clothes to be somewhat loosely fitted so I’ve decided to just modify and add pockets to women’s pants, there will be room at least, not a fan of tight clothing anyway. Bought a couple pairs second hand that I don’t mind if I screw up and it turned out pretty well. I don’t want to risk new pants. Men’s pants tend to be longer in the rise, not sure how to modify the rise, but that’s another option for me to learn I guess. And I’d have to take them in a little. Decathlon (so for the European readers) has 70% merino, 30% acryl shirts that are unbeatable price wise. That’s too bad about Ibex. Ever since their founder John Fernsal was pushed out, their material quality hasn’t been the same. That’s said, my favorite warm weather piece from Ibex is their polo’s. For cooler temps, the OD long-sleeve t-shirts and Shak 1/2-zip is fantastic. Hmm, that’s too bad. I always like how they tend to have a lightweight, full-zip sweater ever year, occasionally known as the Shak Lite. It’s the perfect weight, and I wish they’d have one available all the time. I’ve tried some of these and the Runweight Tee from Outlier and the Oliver’s Apparel Tees have the best fit by far. The sleeves are very trim which is rather flattering and the torso tapers nicely. One problem with the RW tee is that it can get kinda clingy and easily collects fuzzies. Yeah, the meshy exterior can be snagged more easily and pick up dirt more quickly. It’s still one-of-a-kind, though, so anyone wanting crazy breathability should take a look at it. And I like the Runweight quite a bit, but going a size down is probably a good idea. Ouch. That makes me a little sad. Ibex always had a bit of a flashier color scheme and style than what I would have liked, but I think they made some good gear. I’m a little late to this post but I thought I’d mention Macpac merino. NZ based company. I have their merino underwear, t shirts and jumpers. Great products. Getting them directly from New Zealand is a great way to save some money, it seems. Directly from the source.